There was no accompanying music for the Wednesday night reading. The poet’s words were rhythmic and melodious all their own. Former UC San Diego professor Quincy Troupe made his return to campus this past Wednesday with a poetry reading and a discussion with colleague and composer Anthony Davis. I took a friend of mine to hear Troupe read a selection of poems from across his nine volumes of work and share electrifying anecdotes about his upbringing and career. From 1991 to 2003, Troupe was a professor of Caribbean and American literatures at UCSD. Before stepping down as a professor, he was nominated to be poet laureate of the state of California. Over the course of his career, Troupe has also worked alongside music legend Miles Davis, for whom Troupe penned a biography in the ’80s. His memoir “Miles and Me” is currently in production to become a major motion picture. To an eclectic audience of young and old, professors and students, aging beatniks and wide-eyed hipsters, Troupe dazzled the Loft with a masterful command of emotion through the medium of the written word. This wasn’t just limited to his poetry, as the stories that Troupe told were just as engrossing. Troupe spun long yarns of growing up exposed to music and musicians in his hometown of St. Louis, and how these experiences informed his writing style. “I always thought that iambic pentameter … needed to be syncopated like the blues and jazz,” Troupe told the crowd. Before his poem for Miles Davis, he regaled the audience with stories of his time with the legendary trumpeter, including the first time he visited him at his home on 79th and Fifth in New York City. In his poem about Davis, Troupe paid homage to the musician’s legacy but was also able to capture the spirit of his music in his voice. With the inflections of Troupe’s voice running up and down, words that were held onto or staccatoed, one could have felt that this was a kind of incantation of Miles’ spirit — as though in some transmutive sense, Davis was still playing through Troupe, his music now taking the form of words. I’m disappointed I didn’t know more about Troupe before going to see him. He’s undeniably genuine and cool, one of those rare artist types who is still madly in love with his craft even after having found mastery in it. I feel I’ve been graced to have been witness to such a stroke of genius in only two hours. 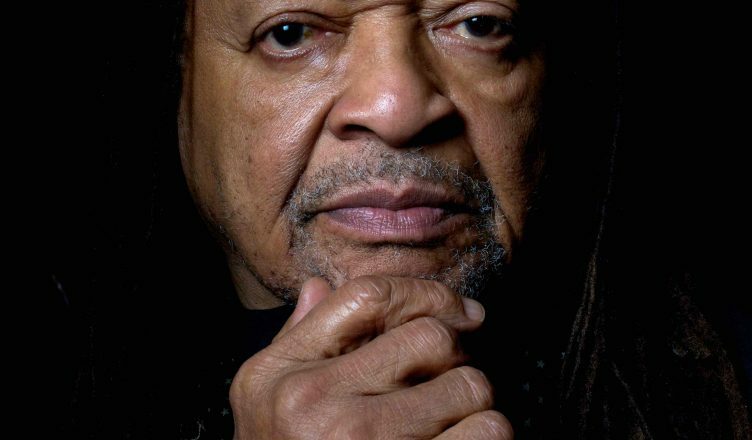 While Quincy Troupe is definitely a talented wordsmith, it might have been mentioned that he resigned in disgrace from both his professorship and the poet laureate of CA appointment when it was revealed that he misrepresented the fact that he never earned a college degree from Grambling or any other college.